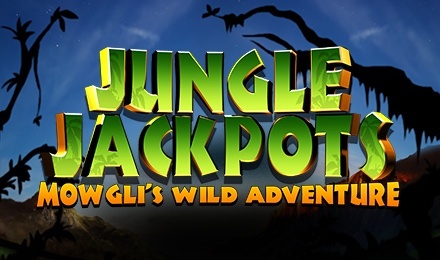 Jungle Jackpot slots is a newly built slot by Blueprint Gaming waiting to be played! Join Mowgli and his friends in the jungle and pocket big wins. Not Jungle Book, Jungle Jackpots! Pack your bags and get ready for the adventure of a lifetime in Jungle Jackpot slots. On 5 reels and 20 paylines, you get to walk through the rainforest, where different creatures lurk in the darkness. This slot game is themed on the famous Jungle Book and proposes excellent features on the characters of the book itself. Enjoy features like: Kaa’s Locked Wilds, Hati’s Expanding Wilds, Mowgli’s Wilds, and the Baloo Bonus. With the various features, you could win up to 500x your stake when the symbols form part of a winning combination.